This is an enhanced-color view generated from images acquired by the HiRISE camera using its red filter and blue-green filter. This image from the High Resolution Imaging Science Experiment on NASA's Mars Reconnaissance Orbiter shows the Mars Exploration Rover Opportunity near the rim of "Victoria crater." 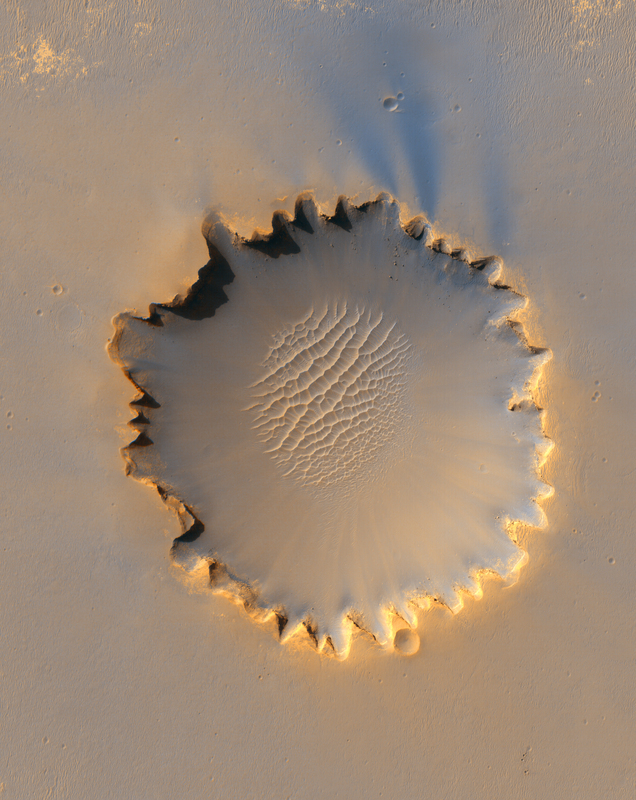 Victoria is an impact crater about 800 meters (half a mile) in diameter at Meridiani Planum near the equator of Mars. 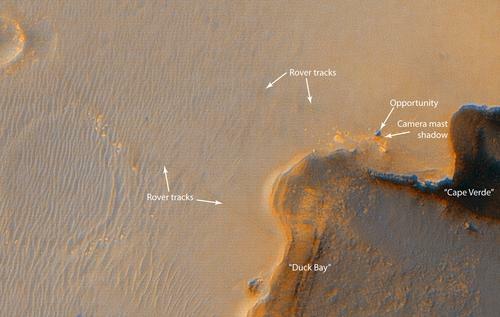 Opportunity has been operating on Mars since January, 2004. Five days before this image was taken, Opportunity arrived at the rim of Victoria crater, after a drive of more than 9 kilometers (over 5 miles). It then drove to the position where it is seen in this image. Shown in the image are "Duck Bay," the eroded segment of the crater rim where Opportunity first arrived at the crater; "Cabo Frio," a sharp promontory to the south of Duck Bay; and "Cape Verde," another promontory to the north. When viewed at the highest resolution, this image shows the rover itself, wheel tracks in the soil behind it, and the rover's shadow, including the shadow of the camera mast. 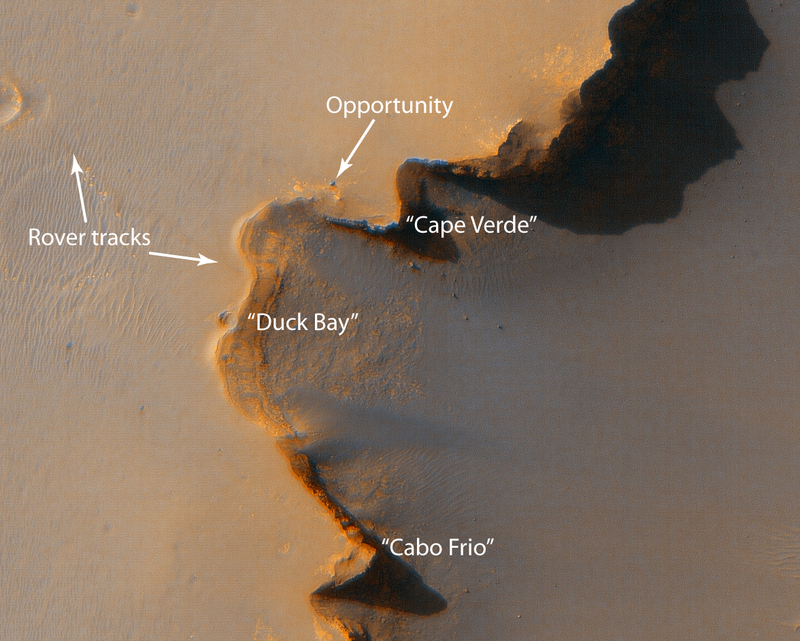 Since this image was taken, Opportunity has moved to the very tip of Cape Verde to perform more imaging of the interior of the crater.